After getting the call that my father passed away, I picked up my mother and raced to the hospital. The nurse handed us a brown paper bag with his personal effects and then led us to the room where he spent his last moments alive. I looked at him but, while it was his body – it was no longer him. I “knew” he was no longer in there. I pulled two chairs along side of the hospital bed and we sat down, neither one of us saying a word. After a while my eyes began playing tricks on me. Had he just blinked? No. It was just wishful thinking. I had so many thoughts racing through my mind. Would he come through to me? I didn’t want to upset my mother. She cried softly into a tissue held over the bottom half of her face. I forced back my own tears so, I wouldn’t make it any worse for her. My mother got up to use the restroom, leaning heavily on her cane as she walked into the hospital corridor. And when she left the room, it happened. Suddenly, on the other side of the bed stood my father and his sister with their arms around one another – beaming! A wavy light framed them. This light had “depth” to it, almost as if it were a portal where I could “walk” into their world and join them if I wanted to. And, oh how I wanted to but, I couldn’t move. I was frozen in place, transfixed by what I was seeing. Neither of them said anything but, they didn’t have to. I could tell from the expression on their faces that they were laughing and enjoying their reunion. I felt my heart open up and wave of love from the two of them poured into it. The love they sent was beyond words to describe. It hit me with a mighty force – thwack! My father was wearing his favorite safari jacket and beloved Greek fisherman’s cap. My aunt glowed in a peacock blue gown and matching scarf in her hair. And then, in flash they disappeared. But, it was over and they had gone. “What if it was my imagination,” I thought beginning to doubt myself. Had I really seen them or had my desire to “see” my father created this vision? I pulled a tissue from my purse to wipe my eyes and sat down. I kept looking around the room hoping that my father and aunt would reappear but, they never did. That evening I called a fellow medium. I told her that I’d seen my father but, gave her no details other than telling her he hadn’t said anything to me. My knees actually buckled. I was so happy. She was seeing exactly what I had seen. He also showed her several other relatives he was celebrating being reunited with and gave their names – all of whom I recognized. Everything she saw and heard was evidential and proved to me that she really was communicating with my father. Of course, the major proof for me was that she saw both he and my aunt in the exact same way I had. I was so relieved to hear that he was alright. I felt my father’s presence and the love he had for me while the medium was communicating with him. I felt great joy that he was celebrating with his parents, and other relatives. I still grieved over the loss of his physical presence but, I didn’t feel he was lost to me forever. I felt he was with me right by side and it was so very comforting. In the days and months after my father passed I saw him numerous times and also got many signs of his presence. And, I never doubted again thanks to the validation I received that day. 1. Evidence of survival of death. Even if you are in the habit of seeing or hearing spirits and sensing their presence, like I was, you might think that what is happening to you is just your imagination. It’s natural to doubt and think you made it all up when you want something so badly. Having a medium bring through your loved one will validate what has been happening to you. No, you’re not going crazy. It really was him or her. The medium conveyed what she saw, and there she was, my lovely Mom, recalling all the happy events of her life in detail, reassuring me that her spiritual body was whole, that she would always look out for us, describing my recent accident and a number of other memories. Now, the medium had no way of knowing any of these things and I was amazed at the connection I felt. At the end of the hour-long reading, I closed my eyes and felt my Mom hug me from behind and place her cheek close to mine, as she always did. I have not felt happier in my life. 2. Feel their love again. Feeling the love they send you makes you realize that they do live on and that love never dies. After all, the only thing you take with you on the journey when you transition are your memories and the loving bonds you created. Many times we know that they are present because we “feel” their presence and feel the love we shared with them but, we want “proof” that it is real. When you feel their love while in the company of a medium it increases your belief and faith in life after death. 3. Heal grief. Your pain at losing them is healed by knowing that you are only temporarily separated and that you will see your loved one again. While you will still grieve and miss them terribly you will also feel joy at knowing that they are still with you and that you can speak to them and that they do, in fact, hear you. Your grief will lesson when you realize that they can be with you at all major family events and that you can hear through a medium about the details of the event and “know” they really were there. 4. Validate your experiences. All the little signs they send or dreams they visit you in will become much more meaningful as you will know with complete certainty, that this is really coming from them. You will have an entirely new perspective on “physical death.” And, an entirely new outlook on life. Who are you missing this Valentine’s Day? Has their spirit ever come to you? Or, have you gotten other signs from them from the afterlife? Share your story with us. If you enjoyed this article share it with a friend on Twitter, Google+ or Facebook. Thank you. P.S. 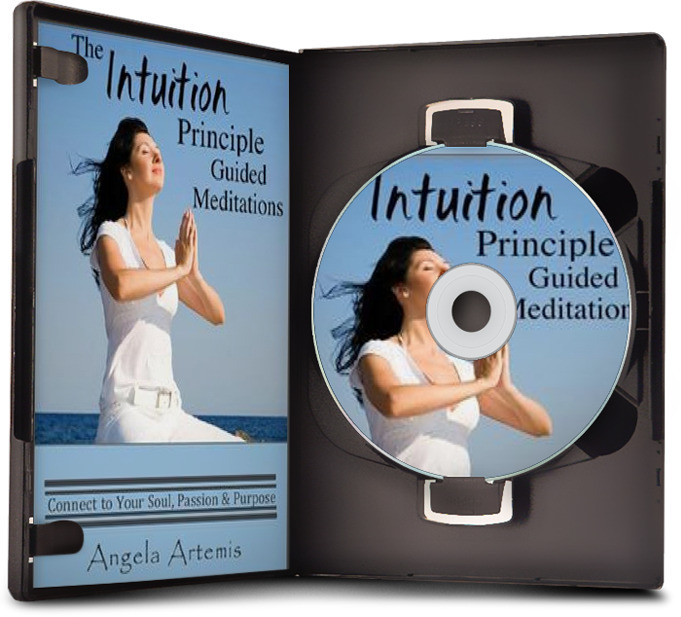 Learn how to develop your own intuition – click here. I had an amazing experience the day my grandmother died. It was very dark and I was asleep. She sat on the end of my bed. I could feel someone sit on the bed and felt very comforted. When I opened my eyes no one was there but I knew it was my grandmother coming to say goodbye. It really meant a lot to me!! I’m sure it meant the world to you and that you’ll never forget it. Your grandmother must have loved you a lot to come and say goodbye. Such an awesome post and the validation of what you seen was real! A beautiful gift to you exactly when you needed it! I’m so glad you enjoyed this post! It was so beautiful to be in touch with my father so soon after his passing. It was also wonderful to be the recipient of a mediumship reading for a change. My clients are usually the ones feeling this joy but, I got to experience it too. I am always fascinated with real life experiences of a mediumship reading. And I was fortunate enough to experience one, thanks to you, Angela. A gift I will treasure forever. 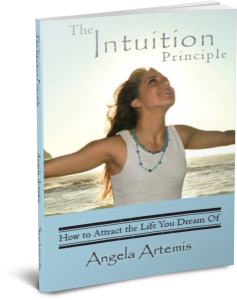 I loved this post Angela and am so happy you’re writing about your abilities. I speak from experience when I say that my visits to the Institute of Psychic Studies with a variety of mediums made a huge difference when my husband passed away. Thank you. I’m so glad you enjoyed this post. I’m sure that seeing a mediums was so comforting for you after your husband passed. Reading your words Angela brought tears to my eyes. I was reminded of one time a couple of years after my beloved Nonna (grandmother) had died, and I was riding the bus. I noticed this old woman on the seat across the aisle looking at me and as I looked at her it seemed like all I could see was my grandma. After a a minute or so, she was gone, but I sat on the bus so unnerved by what I’d experienced. I haven’t seen her since but often wish I could. Oh, wow. You definitely saw her. I understand that longing. I too wish I could “see” my father more often. Now I “sense” his presence more often than I see him. Do you ever feel as if she is standing near you or stroking your hair? This is what I experience with my father now. When his sister visits I smell cigarettes. The connection changes over time. As we move on with our lives they move on with theirs too and perhaps that’s why we don’t “visually” see them as often. It’s not that we forget about them but, the wounding from their loss closes with time. Great post Angela. 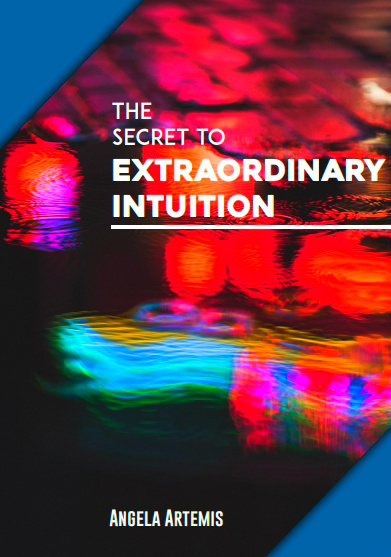 A specific and evidential medium reading can have a profound effect on one grieving a loss. Knowing that our loved ones survives physical death can be life changing. Mediums provide a wonderful conduit to those in spirit, however, nothing can compare to having a personal experience of reconnecting with your loved one after they have passed. That is truly a gift! Thank you. I’m so glad you enjoyed this post. Thank you for being there for me in my hour of need and bringing through my father. It is soo healing. Having experienced this healing through your mediumship – I know first hand how it substantially reduces your grief. It is a gift – thank you for sharing yours with me. Bravo!…for this and your previous post. 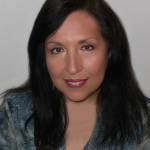 I am so happy you are sharing yhour mediumship experiences with your readers. I too want them to know how extraordinary it is to get a message from a loved one. Most importantly they should know how how talented you are and that your gift can help them heal…we often hae issues to settle with loved ones and you can give them the peace they seek. Thank you so much! I’m glad you enjoyed this article and thank you for your support and lovely compliments. This is Eric of Eden Journal, now with a new blog. First I want to say I’m sorry for the loss of your father, I know that must be a difficult thing to go through. The story you tell surrounding that loss is just lovely. It’s so wonderful that you got to see him one last time shortly after he passed on. It’s timely as well. We just found out this morning that my wife’s aunt passed on. I have many fond memories of the parties she hosted shortly after I first met my wife. I’m sure she is now enjoying her reunion with the loved ones that have passed on before her. I bet she’s laughing and laughing now, just as she used to when I first came to know her. Thank you for the condolences about my father too. I really appreciate it. I’m sorry to hear about your wife’s aunt as well. I’m so glad you enjoyed this article. I’m going to check out the Freiendship sociiety – your new blog.